Artix: Hail and well met my friend. It is a great day to battle the evil forces of the undead*! Takes you to one of Artix's random quests. Artix: Reports of undead activity have been increasing across the land. I have come to Amityvale seeking your help to defeat them! Artix: Please accept my apology. I was so excited to actually meet you in person that I forgot to introduce myself. 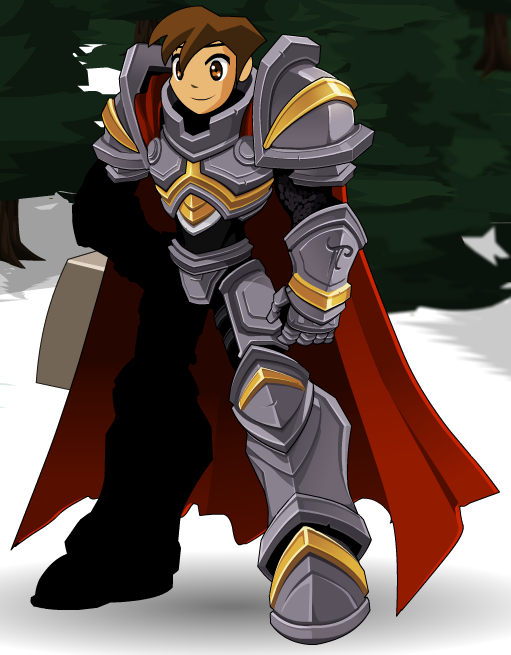 Artix: My name is Artix von Krieger and I am a Paladin who has dedicated his entire life to battling the undead. Artix: You can usually find me battling the supernatural creatures in DoomWood. The highest concentration of undead can be found here! Artix: Lady Celestia believes you are the one who will become a DragonLord! You should talk to Twilly to continue your quest. Artix: Lady Celestia told me that you hatched your Dragon! Amazing. Have you been feeding and training it? Artix: Doom Weapons!? They are evil weapons that promise great power but carry a terrible curse for those foolish enough to wield them. Artix: Worse yet, I fear that I am responsible for the creation of one of them. It is a long tale that ended in a battle against a Master Necromancer. Artix: As a result of the battle I was severly injured (-30 levels) and my Battleaxe was lost. I wonder if there could be a way to purify it. Artix: Necromancer's use their dark magic to create undead minions. There is a new Master Necromancer in the land named Noxus. Artix: I was just about to inside. Want to join me? Just follow me through the archway. Artix: It would be an honor to fight by your side! Artix Krieger: Greetings and salutations friend! Wow, are you <Character> I am so glad you are in DoomWood. It is an honor to finally meet you. Artix Krieger: Wow, <Character>, I am so glad you are in DoomWood. It is an honor to fight beside you. Artix Krieger: Exorcising the undead to free their souls. It is also great exercise! Artix Krieger: No, not all the time. Artix Krieger: Sometimes I go to Underground Crypts, Lich Lairs, Mummy Tombs and the occasional Shopping Mall. Artix Krieger: Indeed! The undead LOVE malls. Someone puts up a sale and they swarm like bees! *coughs* Zom-bees! Artix Krieger: Say, if you are battling against creatures of Darkness it would be an honor to come with you. Artix Krieger: I like the way you think, this is going to be fun. Lead the way friend! Artix: We have come back to your present, our past, to take you back to your future, our present and help save town. Artix: In our time, you were knocked out just before the fight with Exodus and your dragon won't listen to anyone except you! Artix: So Cysero made this time traveling phone booth to go back and get an earlier, younger version of you to ride your dragon. Artix: Ask. We will answer what we can. Artix: Ok, if you're ready, lets go! The future awaits! Artix: What do you mean? Artix: I think you will be suprised to see how powerful your dragon has grown. Artix: If you are prepared then we need to get you on your dragon quickly! Artix: Here it is. It should be fully powered and ready to fight. You won't need your Dragon Amulet, the other you left his on the dragon. Artix: In theory, yes. We've never tried this before, so it just might eat you. Artix: You look like a true DragonLord. Are you ready? Artix: Good luck, <Character>. We are all counting on you. Artix: You have done it! Exodus has fallen! Artix: Thank you for saving BattleOn, <Character>! It is time to send you back to your own time. Artix: As soon as the other you comes around I will tell him/her what you have done for us. I am sure he/she will be proud. Artix: Goodbye and good luck with your future, <Character>. Artix: ...And that takes care of that! THOSE spirits won't be haunting anyone anytime soon. Artix: No need to thank me, friend! That's what paladins do. Artix: I am so glad you are here. How can I be of service? Artix: Doomwood has a lot going on inside. Do you want to know anything specific? 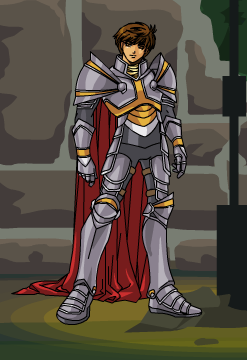 Artix: My name is Artix von Krieger and I am a Paladin who has decicated his entire life to battling the undead. Artix: The Necropolis is a giant underground city of the dead. Necromancers and DeathKnights go here to train. We must destroy it! Artix: Moonridge is a nice town on the eastern edge of DoomWood. The entire town is a Giant Shopping MALL! 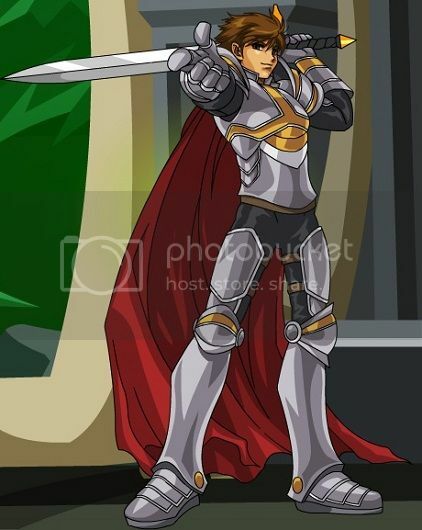 Artix: A Paladin is a warrior of good who has dedicated their life to thrawting evil and protecting those in need. 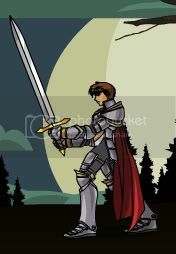 Artix: Through love and faith a Paladin is granted the power to overcome great evil. Artix: There are many different types of Paladins... perhaps you would like to train as a Paladin one day. Artix: I would be honored to share with you what I have learned once we have a handle on this undead situation. Artix: Doomwood used to be a beautiful forest... and it had a different name. I know this, because I was born and raised here before IT happened. Artix: Necromancers... *furrows his brow* They are evil spell casters who abuse their magic to create and control the undead. Artix: Necromances enslave the life force of their victims, trapping them in their skeletal cages and controlling them like puppets. Artix: Each undead you cross is the result of this terrible magic. But by destroying the skeleton you set the life force free! Artix: I can hear their voices in my mind... and they want to be free. That is why I battle... I will not stop until I free them all! Artix: Within the Necropolis lays the secrets of this Dark magic. I intend to destroy it and never let this happen to anyone again! 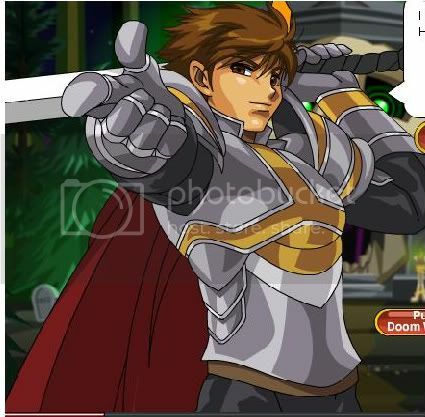 Artix: Will you help me defeat these Necromancers, friend? Artix: Thank you! I know that together we can put a stop to the evil that the Necromancers are spreading! Artix: I am sure you have your reasons. I believe in you and know that you will do the right thing. Lets you take Artix as a guest on either space A or B.
Heals you and refills your HP and MP potions. Artix: Joining the order of the Paladins is no small task, <Character>. I have to be sure that you heart is pure. It will take time. Lets you train as a Paladin. Artix: I will not interfere with your choices but if you want to learn the skills of the Necromancer or DeathKnight, then I must send you elsewhere. Artix: ...Would be Zorbak! Remember before you decide to learn from that ebil moglin that he was expelled from Necro U.
Artix: A Death Knight is a fallen paladin who has turned down the path of corruption. Artix: You must be fully trained as both a Paladin AND a Necromancer to become one of these dread warriors of darkness. Artix: I only know of one place where you might learn more about Deathknights... the Tomb of Sir Malifact. Artix: Those Doom Weapons are dangerous. VERY dangerous. I can sense the evil inside them. Artix: The elemental darkness spirits that are bound to those weapons appear to grow stronger with each passing day. Artix: I have certain abilities that I have never seen in another paladin, and I believe that I can cleanse these weapons. Artix: If you come across one of these Doom Weapons... bring it to me and I can transform it into a Weapon of Destiny! Artix: The Weapons of Destiny will be just as powerful as their counterparts, but will be infused with the power of Light! Artix: Just make sure to get the Doom Weapons to me... before it is too late. Opens the Purify merge shop. Artix: If you want, I can upgrade the Weapons of Destiny for you, but I will need you to gather some materials for me. Artix: If you are upgrading your Weapon of Destiny from it's most basic form, you will need some Purification Research Materials. Artix: You can find the Purification Research Materials in Chaney's shop in Crystal Clear Lake, near Amityvale. Artix: After that upgrade, all you will need are Undead Slayer Badges that you can gather from any of my quests for further upgrades. Opens the Shop of Destiny merge shop. Artix: Awesome! You really want to make Doomwood your home and slay undead? Lets you save The Necropolis as your home town. Artix: The undead are causing havoc all over Doomwood! Artix: There is one town in Doomwood that has managed to avoid being tainted by the darkness swallowing this land... Moonridge. Artix: ...The people of Moonridge need our help first. Their town is being attacked by waves of the undead! We have to find out who is behind this! Artix: Gather 5 Undead Slayer Badges from the waves of undead to unlock the Boss Fight! Artix: You did it! Moonridge has been saved! The mayor has sent a letter inviting us to a party to be held in our honor! Artix: I would mean a lot to these people if we show up. Are you ready to go to Moonridge? Artix: OOOOoooh! A SKELETON key! Artix: We did our best! Artix: Hey! That was my line! Artix: *thinks* Woah, that was weird. Artix: Did you say... Vayle? Artix: It is... just that I knew a girl named Vayle once when I was a young boy. Artix: *thinks* Could this be the same Vayle I met when I was a little boy? Artix: I can hold. That monster has grabbed the little girl, you have to save her! Artix: Just be careful.. he looks HEAVILY ARMED! Artix: Are you alright little girl? Artix: The mayor gave me directions to the house of one of Doomwood's necromancers. I guess he is a little but of an outcast. Artix: I do not like dealing with necromancers, but this might be our only chance to get inside the Necropolis! Artix: That is not polite, Zorbak. Artix: Indeed. We need your help. Artix: ...We REALLY need your help to get inside the Necropolis. Do you have some kind of key we can use? Artix: *Nods* "This is where out quest truly begins my friend. Who knows what horrors await us in the depths of the Necropolis. Artix: There is one problem I have not been able to figure out yet though. Artix: *think* Must... resist... urge... to... vanquish... evil! Artix: We may only get one chance to defeat this evil. We need to know more about what is going on down there. Artix: <Character>, since I cannot seem to... control myself... around these monsters, I need you to sneak back down and see what you can find out! Artix: Now that we have a map of the Necropolis we can really do some damage to those Necromancers! Artix: Our first stop is the place they call The Body Shop! Artix: ...This area is called the Body Shop. Artix: <Character>, there is ALWAYS time for personal hygiene... but it is not THAT kind of Body Shop. Artix: According to the handbook this is where they have their Build-A-Beast Worhsop. Artix: If we can get into the workshop, then we should be able to destroy the foul methods they use to make some of their monsters! Artix: All we need to do is get inside without being noticed. Artix: Then we can take out the necromancer who runs the workshop and vanish without a trace! Artix: We should try to avoid drawing any attention to ourselves. Artix: There must be less than fifty of them. We can take them! Artix: Yeah, but... but... *sigh* Oh, fine. Artix: May I be excused? I need to use the restroom. Artix: The necromancers are cooking up something horrible and we have got to stop them! Artix: There is a section of the Necropolis that is called the Ice Creamatorium, which doubles as the university cafeteria and evil food laboratories. Artix: I am not sure what their plans are, but it is something BIG. This will bring us one step closer to taking down the Necropolis! Artix: This is the entrance to the Ice Creamatorium. Artix: There is a lot of activity surrounding this place and I can feel the evil coming from inside, but how can we find out their plans? Artix: Why did I not think of that? Artix: <Character>, this is serious. These food zombies could be a real threat. Artix: Okokokok, I get it. I think I might have just the weapons for this task! Artix: Yeah. I cannot get enough of this stuff. I put it on everything. Artix: But you have to use JUUUSSST the right amount or it ruins the whole meal! Artix: Something has been bothering me, <Character>. Artix: Noxus has built Sepulchure a massive army and I think I may know how. In order to explain I'll need to start from the beginning. Artix: That is coming from the river! I AM COMING! Artix: Try to hold on, I will go get help! Artix: Note to self.... next time, use a tree branch to reach the person in the river. Artix: I... think so. How can I tell? Artix: Ow, my head.. Where are we? Artix: The river must have washed us up in this cave... You are from my village, right? Artix: What about your parents? Artix: I will get you back to your brother as soon as I can! I think I see a tunnel over there. Artix: There is no need to be scared. Follow me, I will protect you! Artix: I see light! It looks like we have made it out, Vayle! Artix: Vayle... come back. We should leave! Artix: Do not forget about your brother! He will be worried! Artix: VAYLE! I am coming! Artix: This looks like... the old Guardian Tower. We should not be here! Artix: Are you alright? What... what happened to you? Artix's Voice: ...But I did not. Artix's Voice: That was when I decided to become a power of good! Artix: I am leaving, Vayle. Artix: This is a bad place and we should NOT be here. Come on. Artix's Voice: I had no choice. I had to fight my way out..
Artix: She nursed me back to health and began training me to battle the forces of evil (but I had enough tea to last me a lifetime). Artix: My contact with the orb had changed me. Artix: I could now sense the presence of the undead, and I instinctually knew the best way to battle them. 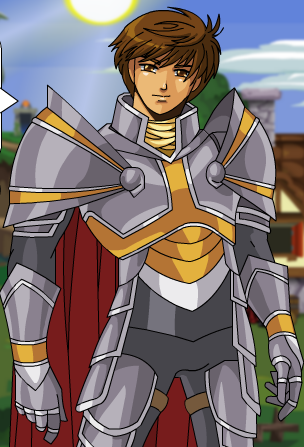 Artix: A few years later I joined the paladin order as a paladin-in-training. Artix: I put all thoughts of the village behind and looked forward to my new life. Artix: Then, when I saw Vayle it all came back to me. Artix: She and I were the only ones who survived that night... we were unchanged by the Green Mist. Artix: I think that orb was the Elemental Orb of Darkness. Artix: I do not know how but I think Noxus got his hands on it, and is using its power to help construct Sepulchure's army. Artix: If I am right... stopping Noxus is more important than I first thought. Artix: I am just glad that you are by my side <Character>. Artix: Together, I KNOW that we can stop Noxus and the necromancers! Artix: You may have noticed but this whole area is one gigantic graveyard that sits right on top of the Necropolis. Artix: Much of the graveyard have been claimed by the mashland on the northern and western edges. Artix: I have seen some necromancers going in and out of that area and I think they are getting a lot of their 'materials' from there. Artix: We should go and see if we can do something about that! Artix: Then we will start with her. Artix: Since she has a head start we will have to find our way through the undead that she has already raised. Artix: ...and for once we have the element of suprise on our side. Artix: I mean, we have the drop on the necromantress! Artix: She will never see us coming! Artix: Hmmm. You may be right. Artix: Now we have you! Let us see who hides beneath those purple robes! Artix: Vayle, if what you say is true then you have been keeping his spirit captive. The spirits of the dead long to move on. Artix: Noxus was lying to you when he said that he would teach you how to get your brother back. Artix: I do not believe that it was her. Artix: Yes. You are right. Noxus has to be stopped...NOW! Artix: Vayle...you HAVE to understand. You weren't saving your brother...you were keeping him from moving on. Artix: It looks like the last of Sepulchure's undead army is being taken care of my the other heroes of Falconreach. Artix: That means that we are free to go down into the Necropolis and finish this. Artix: We have to get the Darkness Orb from Noxus at all costs! Artix: I cannot believe how much power you and the other heroes of Falconreach have when you work towar a common goal! Artix: I had a great time stomping those skeletons into the ground. I just wish there had been more. Artix: ...I just hope that we are ready for whatever he throws at us. Artix: Only a necromancer with the power of the Darkness Orb could have built that army. Artix: Killing him? He died as a result of the Green Mist. Do you mean that you...? Artix: Moonridge has another small...okay, large...problem, <Character>. Artix: <Character>, I am very worried about Vayle. After everything she has been through... Find her, and see what you can do to help her! Artix: You are right, <Character>. I too would start searching in Amityvale. Help Vayle! She deserves happiness. Artix: Greetings Ash! I hear you are following your dream of becoming a Knight. How can I help you? Artix: Sneevil Treefort Sneevils are evil box obsessed goblins. I know the location of one of their secret forts in Robina's woods. Artix: The Cave A nearby cave has been overrun by elementals! I heard a lot of magic items can be found there. Artix: The Marsh Not too far from here is a swampy Marsh. It is rumored that the Imperial Mushrooms collect rare items. Artix: Elemental Attack A mage portal is pouring elementals into a field near here. The Knights need help defending it! Artix: DoomWood? Undead have overrun the forest there! ... there are rumors of an abomination being created there! Artix: The Grove There is a magic grove which is now the home of corrupted forest creatures. It got a lot tougher! Artix: Rescue A little girl from town has gone missing... again... We think she might be in that cave full of bugs! Artix: Friends, we're gathered here to remember the Blue Mage, my friend, Warlic. Artix: A finer mage I have never known. Unfortunately, his death means we have several bigger threats to face. Artix: Let us take what little time we have, while the elemental front is pushed back, to mourn his passing. Artix: MYYYYY FEEEEEEEETTTTTT AAARRREEEEEE BEEEEHIIIIINNNND MMyyyyyyy heeaaaaad!!!!! Artix: YYYOOOUUUU GGUUUYYYYSS GOOOTTTTTAAAAAA TRRRRRYYYY ITTTT! Artix: Today we must mourn for those we have lost in battle. Artix: Demento, a great hero, gave his life to warn us of the danger that Drakonnan now threatens us with. Artix: In the coming days, the danger will grow. Artix: More may give their lives in the fight for good but, in order for this world to be safe, we must Battle On! Artix: Yes. That is fitting. Artix: I... what... what's going? My head... oooh, what happened? Artix: I... I... oh, by the Light, I thought it was all a dream! Artix: My friend. You have saved me. I do not know how I can repay you. I... I am so sorry. Artix: ..Far more powerful then any of us could have imagined. Artix: He has used the power of the Fire Orb to it's fulllest, using it to... to corrupt minds and hearts of our fellow heros. Artix: It... it was terrible, I thought it was a nightmare. Artix: He Is working his way through the prisoners that he captured during his rampage and... converting them into mindless minions. Artix: I... I am so sorry. Artix: There is no Ice Katana. Artix: I took the katana. Artix: It now lies in one of Drakonnan's deepest dungeons. Artix: We will have to storm the dungeon and free the rest of the prisoners there and recover the katana. Artix: For now, though, we must go. Artix: Warlic and Cysero should be able to provide some protection against Drakonnan's reach, but we cannot linger here. Artix: <Character>, I am so sorry your birthday party has been ruined! Artix: We must have another celebration next year, one without such unfortunate mishaps. Artix: <Character> and I are still cleaning up the mess you caused, Zorbak! This is the most undead you have ever sent against the town! Artix: And do not think I've forgotten the part YOU played in this, Dentist. Artix: There are turkducken all over the town thanks to your "fix"! Lim says each of the drops of juice from the roasting turducken turned into a new one! Artix: The DOOMiness of the monsters lessened with the passing of the Friday the Thirteenth, but there are still many of them around town! Artix: After <Character> and I are through here, I am going back to the Necropolis. There are sure to be undead that need slaying there! Artix: With or without holy wasabi sauce on the side? Artix: Check your backpack, I slipped some Holy Wasabi in it. You might find it useful! Artix: If you will go see about helping him, I will get everyone else out of here! Keep going, you’re just about to win! Artix: I will not be the only early one, I am sure. Artix: If I could not wait to start the Feast, it is likely others will come early, too! It is a wonderful idea you had! Artix: I brought biscuits with holy wasabi gravy as a contribution to the spread. Artix: I hope you like them! Artix: N-no... too m-much... PINK! MY EYESS!!! !1 AAHH! Artix: I AM BLIND!! I CANNOT SEE!!! WHAT EVIL IS THIS?! Artix: ARGH! UNDEAD FIENDS... I DO NOT NEED MY SIGHT TO SLAY YOU!! Artix: I SENSE EVIL... THIS WAY! Artix: We have to try! Artix: Hi <Character>! The Necropolis awaits! Artix: ...and here it is! Based on Real Life Events, I present Rolith's Bachelor Party! Artix: Oh good, you are here! I'm almost set and it is going to be fantastic! I know this is what you really want! Artix: Of course! It is your last day of being single, and your last day of fighting alone! Artix: So, what a better way to celebrate than fighting a ton of undead wrestling monsters? Artix: It's time for you to get into the ring and fight! Artix: Ooooh, I hate the HangMan! Rolith is so lucky he gets to smite all these undead! Best. Party. EVER. Artix: Who's there?! Show yourself, evildoer! Artix: Ninjas?! Who are you? Why are you trying to crush the most awesome undead fighting bachelor part, EVER. NO GIRLS ALLOWED! Artix: Psh, Rolith is taking down these wrestlers like they are lightweights! Artix: I said NO GIRLS ALLOWED! I can't hit girls but, I won't let you in either! Artix: Iiiiiii aaaaaaammmm, the BEST MAN NINJA. Artix: Hero! Warlic! Cysero! Lim! It's so good to see you all! Artix: I'm bringing everyone together! Artix: No, no, it's ok! The Time Travel Fairies showed me how! There's more than one version of us! With this wand, I can make it so we can all spend Frostval together! Artix: Every year something terrible happens during Frostval and now all the heroes in all the timelines will not only be together to celebrate and share a cup of hot moglinberry juice but we'll all be able to protect the moglins! Artix: Even merged bad guys are no match for all of us heroes together! Artix: I didn't mean... I don't want anyone to be hurt. Artix: It looks like before we celebrate together... we get to fight together! Artix: Ah, you're finally here! Artix: To arms, friends! It’s time to fight against the sons of Akriloth! Artix: We can't just send him to another time... we need to deal with him here. Artix: I... I don’t know how. Artix: Farewell, friends! It was good to spend the holidays fighting with you! Artix: You guys are never going to believe where I was! Artix: Time to start the day! Artix: Daimyo! Wake up the recruits and tell them to wait for me in the courtyard, after they eat! Artix: Very good, Lexandios! Perfect stance, good grip. Artix: Just remember that when you are parrying, do not put your right foot that far away, or the next time you are facing an undead, you might do a split! Artix: Marthas! Don't jump around that much! The armor weighs a lot, you will get winded faster. Artix: If you need to move that much, slide your feet on the ground. Artix: Daimyo, what do you think? Artix: Nara, utilize your nimbleness. That is to say, do not jump around like Marthas here, haha, just stay on your toes. Confuse your enemy! Artix: As for the rest of you, good job! See you tomorrow! Artix: Not a problem, this is just my responsibility! Say hello to your daughter for me! Artix: This should do it! Artix: Hopefully, these were the last of them! Artix: Who's a good boy? You aaaaare! Artix: <Character>!!! By the Avatars, it's so good to see you! How are you doing? Artix: Oh, pay no mind to this list appearing seemingly out of nowhere! Artix: Well, certainly! This is, indeed, a very grave situation. Artix: It's a dragon... your dragon, but a dragon nonetheless. We will need Galanoth's help as well. Artix: He will not say no to me, <Character>. I'll accompany you to the edge of Doomwood, then I'll visit him. Artix: We shall meet again in Falconreach, when the time comes! Artix: No undead are getting near the gates, <Character>! Not on my watch! Artix: I'm not hearing anything. Artix: Caitiff must be coming. Artix: I'm coming with you! Artix: It's still in one piece! Artix: Oh, come on, <Character>! This little breeze isn't gonna stop us!! Artix: Anyone have any ideas? The ground is getting closer by the second! Artix: Thank you, Nythera! That was awesome! Artix: I know it will work! Artix: We're all the same! We all are creatures of magic! Artix: Those who are not affected will have to do, Elysia. Artix: You think... you think that we will surrender to you?! Artix: Ugh... This thing is much tougher than I expected. First seen on March 16th, 2006 during the Beta of DragonFable in Testopia (town has since been renamed to Falconreach). It is hinted at that Artix is cursed, but little else is known about the curse. The first hint of Artix being cursed is found on DF promotional artwork. It is also brought up by a villager in Amityvale, who claims "I heard he was cursed and will die if he does not free enough undead each day!" Artix's "KO" animation features a large hand breaking through the earth beneath him and dragging him underground. 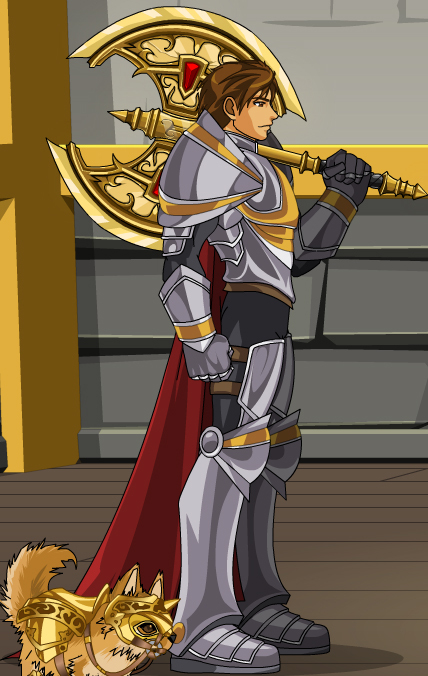 Nothing has been given to account for this, aside from rumors of his "curse"
Artix is the mysterious paladin who, along with his faithful dog, Daimyo, has recently taken up residency in Amityvale. While no one is sure why, Artix can frequently be found in the graveyard, "excoricising the undead to free their souls". As to why he spends most of his time slaying the undead, it is uncertain (however, there are rumors that he is cursed). He is eager to join any adventurers who cross paths with him, however, and is open to the slaying all kinds of other enemies too! -- Andras for first release date and function. -- Seto for original (retired) entry. -- A_T for the Graveyard (the inside part) dialogue. -- ikachan for the Well, Well, Well dialogue. -- GhostBear5 for Titans of Battleon dialogue. -- latedog for We Three Spirits dialogue. -- The 13th for The Necropolis location. -- wolfman_naruto for the Necropolis picture. -- ArchMagus Orodalf for To Have All the Gold In Lore! dialog. -- Stephen Nix for dialogs, location and info. -- Krazy_Kakadu for the Necropolis and Ash's Falconreach info. -- Peachii for location, quests given, image and corrections. -- Voodoo Master for dialogues, locations, corrections and image. -- Slayer Zach for Frostval 2014 image.